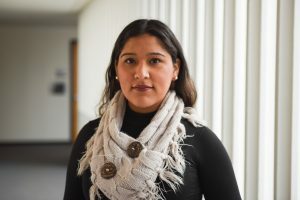 María Perales - Centro de los Derechos del Migrante, Inc.
Maria Perales Sanchez graduated from Princeton University in June 2018 with a degree in public and international affairs, focusing on Latin American migration and U.S. domestic immigration policy. During college, Maria was involved in advocating for migrants’ rights issues, such as wage theft, deportations, and education advocacy, through her campus’ Dream Team and partnership with local social justice organizations. In the summer of 2016, she joined CDM’s office in Mexico as a volunteer, working in areas of communication, intake, and policy advocacy. This year, she is excited to rejoin CDM as Ullman Policy Fellow, a fellowship awarded for a one-year public service project at the international level.